Let’s have a bit of nostalgic fun for those who grew up with the TMNT and have children who are fans of the new Teenage Mutant Ninja Turtles cartoons and movies . 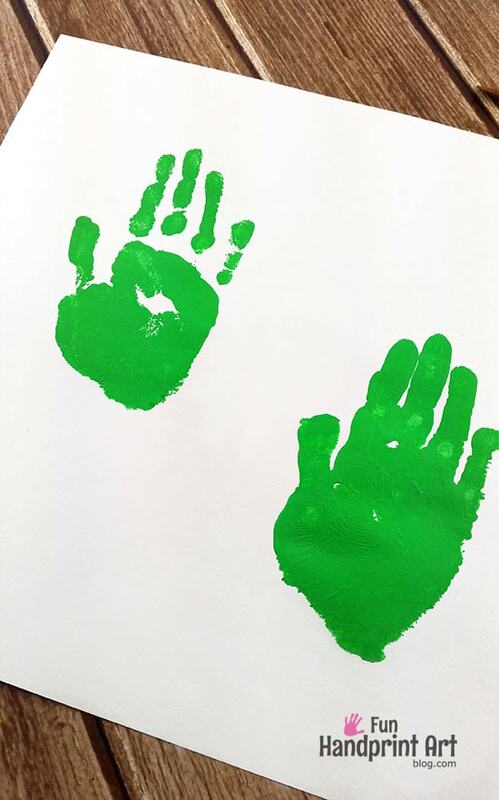 There has been an explosion of character-inspired handprint crafts these past couple of years. 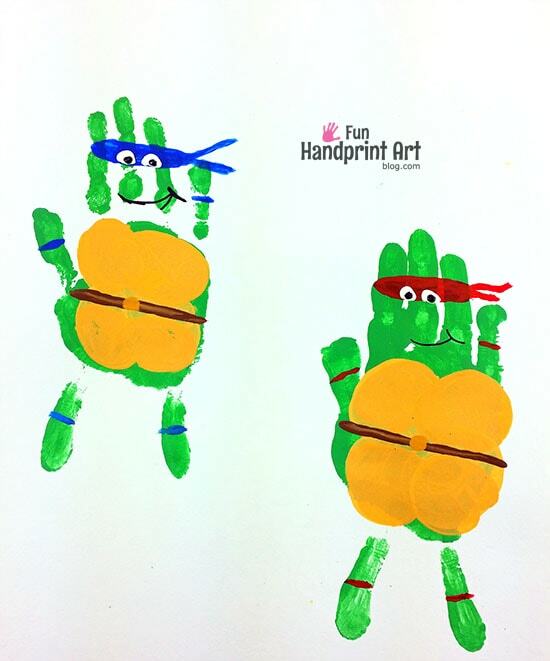 Today we are sharing how to make handprint Teenage Mutant Ninja Turtles – Leonardo (Leo) and Raphael (Raph). Besides being a fun mommy and me keepsake craft, it also makes a crafty bedroom decor project and also a fun activity for birthday parties and playgroups. *This post contains affiliate links. 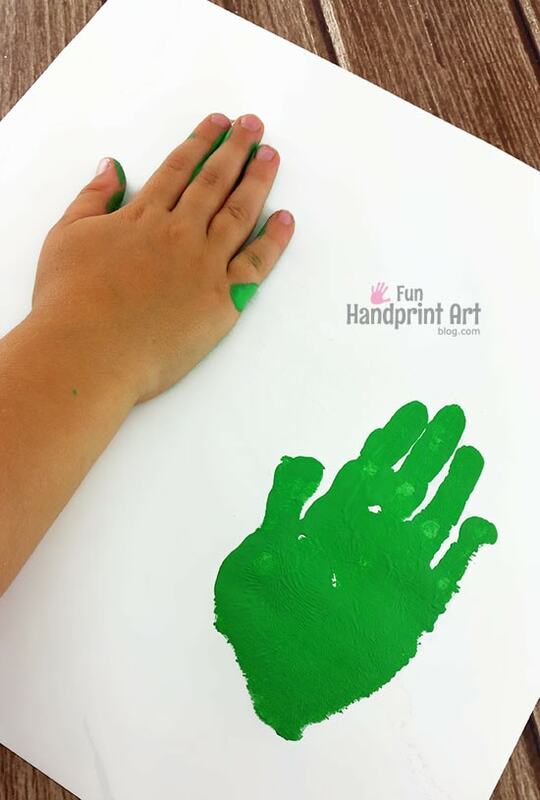 Paint your child’s hand with green paint, then make handprints on the cardstock. Keeping fingers pretty close together works best for the shape. Use a single finger or thumb to create legs. I tried it first with fingers apart and it didn’t look so well. When that dries, you can mix a little yellow and orange paint to make the shell color. That can be painted by making four connecting circles on what will be the TMNT’s tummy area. Once dry, paint a bandana on the head as well as each arm and leg in the color you want. (Red for Raphael, Blue for Leonardo, Purple for Donatello, Orange for Michelangelo). Add a second coat. 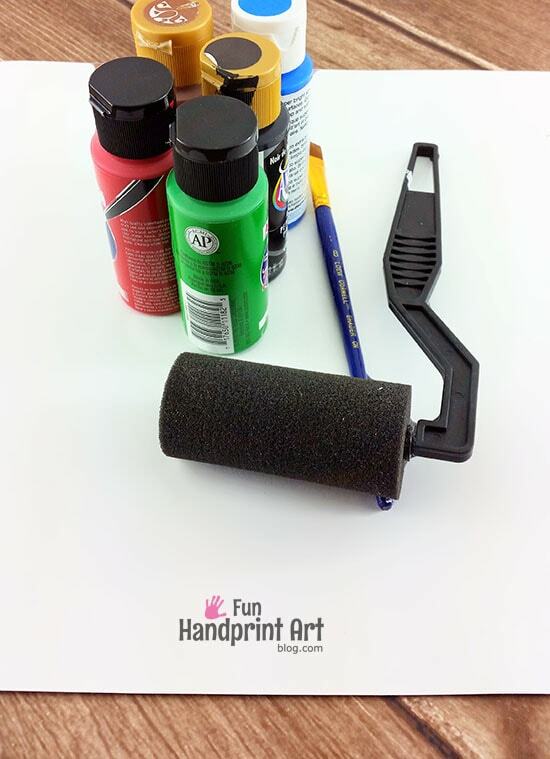 After those dry, you can paint a brown belt on each, and use the puffy paint for eyes. 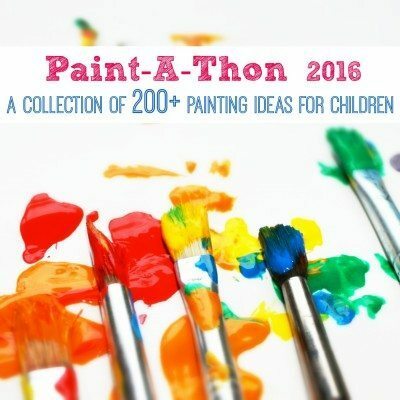 This post is part of this year’s Paint-a-thon with Emma Owl featuring 200+ Painting Ideas for Children. Head of for painting activities galore. New posts will be added everyday this month plus browse past ideas! 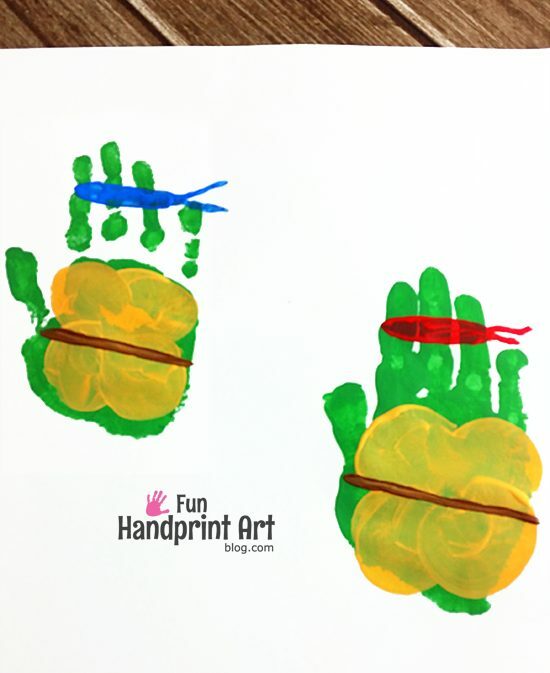 For more character handprint craft ideas like these handprint Teenage Mutant Ninja Turtle craft, head over to see our handprint Sleeping Beauty plate keepsake, Finding Dory footprint foam craft, and these adorable Superhero handprints. Love this idea! 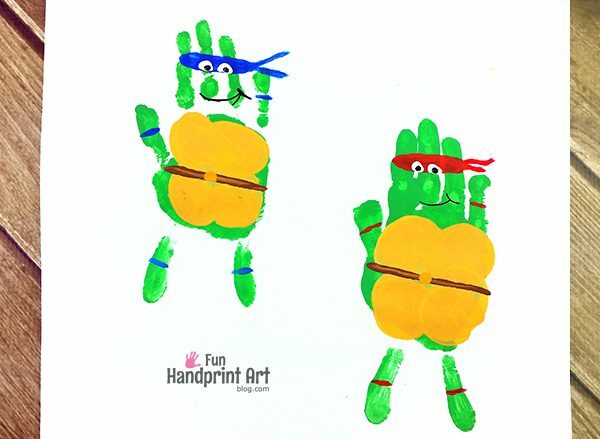 Hands make the best Turtles – who would have thought! !